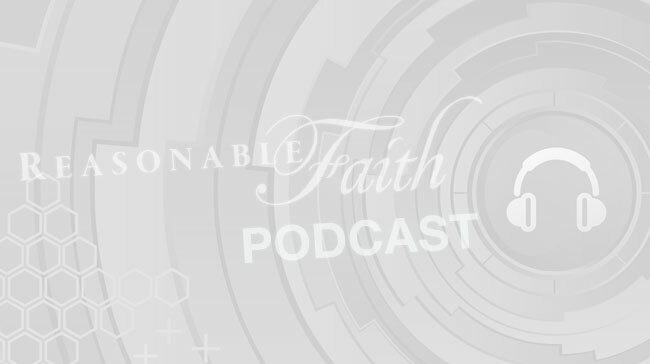 Media > Reasonable Faith Podcast > Is God Needy? Is God a Projection? Are God’s Attributes Contradictory? Is God Needy? Is God a Projection? Are God's Attributes Contradictory? Questions sent in via ReasonableFaith.org, including "Is God Needy? ", "Is God Just a Projection? ", and "Are God's Attributes Contradictory?" Transcript Is God Needy? Is God a Projection? Are God's Attributes Contradictory? Kevin Harris: We get a lot of questions at ReasonableFaith.org, Dr. Craig. You go through them and try to answer some of the best questions. Also, you have criteria – you try to answer some questions that have at least dealt with some of your work on the subject to see if you can expound on it some more. One of them questions why God wants to have a relationship with all of us. Doesn’t that show a lack in God; a neediness in God? Yet, we Christians say that God doesn’t lack or need anything. How would you answer? Dr. Craig: I think the desire on God’s part to have a relationship with us is not a desire that springs out of a need in God. God is not lonely. He doesn’t need company. He certainly doesn’t need us in order to be happy. On the contrary, God as supreme goodness is satisfied with himself because God is the supremely valuable object, the supremely good object, in existence. I think here the Christian doctrine of the Trinity can help to unfold this. In contrast to unitarian concepts of God such as you have in Islam, one of the critiques of the unitarian concept of God that you have in Islam that I’ve offered is that God, by definition, is the most perfect being. He is a maximally great being as Anselm saw. Part of being maximally perfect is to be all-loving. This is a perfection, and therefore to be loving is a moral perfection that God must possess. If that is true then whom are the others that God loves? We know that human beings have not always existed. They are finite in their existence. Yet, God is essentially loving. He has always been loving. Moreover, human beings are not necessary in their existence. There are possible worlds we can imagine where God alone exists, and there are no human creations to love. Yet God is essentially loving as a morally perfect being. So whom does he love? Well, the answer is, I think, that in the fellowship of the Trinity the Father loves the Son and the Spirit. The Son loves the Father and the Spirit. The Spirit loves the Father and the Son. In these intra-trinitarian relations you have self-giving love that each individual gives himself away in love to the others. I think this shows the superiority of a trinitarian concept of God over a unitarian concept like Muslims where there is no one else to love but yourself. Therefore, there is no one to whom one can give one’s love in a unitarian concept of God apart from creating creatures. So I think when we grasp that difference, we can see that God’s being self-giving love is fulfilled within the Trinity itself and has no need of creatures in the way that the unitarian God would in Islam. What that means, therefore, is that if God does create finite persons whom he loves, this cannot be for God’s sake because God is completely fulfilled in the self-giving love relationships among the members of the Trinity. Whom then is this for, this creation of these finite creatures? The only answer can be: it is for the sake and the benefit of the creatures themselves. God condescends to create finite persons in his image whom he then invites into this inter-trinitarian relationship as adopted sons and daughters of God. He gives us the wonderful privilege of coming into that love relationship that the Trinity itself embodies as his adopted children. Kevin Harris: I am glad you pointed out that God is not lonely because I’ve actually heard sermons that God was lonely in the vast cosmos and he created us and a world and so forth. Terrible theology. The second question is also about God’s attributes. The questioner asks aren’t his omni-attributes contradictory? Isn’t God infinitely tolerant, infinitely forgiving? Well, then, how can he be infinitely just and infinitely forgiving at the same time? Dr. Craig: Interestingly enough, Kevin, this again connects with the Islamic conception of God in contrast to the Christian concept of God. One of the criticisms that I’ve offered of the Muslim concept of God in my debate with Shabir Ally on what must we do to be saved is that in Islam God’s being all-holy and all-just is in fundamental contradiction to God’s being all-compassionate and all-merciful. These cannot both be fulfilled. So if God does forgive sin, as the Muslim claims because he is all compassionate, his justice must be compromised. Sin is not punished. Sin is not given its just dessert. God simply blinks at sin and chooses to forgive and to be compassionate and merciful and his justice goes unfulfilled. So God is all-compassionate in Islam only at the expense of no longer being all-just. Now, contrast that with Christianity where you have the notion of the substitutionary atonement of Christ. The justice and the love of God meet at the cross. At the cross, we see the justice of God completely fulfilled as God’s wrath is poured out upon Christ as our sin-bearer and substitute. He bears the penalty for our sin so that God’s justice and the demands of his holiness are completely fulfilled. But at the same time, we see God’s love at the cross in that God himself, in the person of Christ, takes upon the penalty that his own holiness and justice had demanded. Rather than exact it from us, Christ offers to bear that in our place. He gives himself as a voluntary sacrifice out of love for us. So at the cross, we see both the love and the justice of God completely fulfilled. Therefore, it is the cross that allows God to consistently be all-just, all-holy, and yet all-loving and all-forgiving at the same time. These two attributes of God are reconciled at the cross. Kevin Harris: Bill, I often find that people misunderstand or misrepresent the omni- attributes; and that is they tend toward saying God’s omniscience, omnipotence, and so one, means that he can do absolutely anything, even logical impossibilities. If your God can do absolutely anything, then he didn’t have to put Jesus on the cross. What do we point out in that? Kevin Harris: We need to get that definition straight in the Christian world and also in the skeptical world so we are not talking past each other when we are talking about that. Here is another question. How do you answer the objection, Dr. Craig, that God is merely a projection of human desire, goals, wants, and needs, and we somehow project that up in the sky as God and then receive it back as grace? Dr. Craig: You know, Kevin, in a sense, all of the theistic arguments that I’ve laid out are refutations of that. You can’t refute these arguments by just saying, well this is all a projection. If you are going to refute the arguments you have to either show there is a logical misstep in the arguments or you have to show one of the premises is unsupported or false. So you can’t refute the kalam cosmological argument or the design argument by just asserting God is a projection. In fact, what that really tries to explain away would be belief in God. That belief in God is the result of a projection. That may very well be the case for some people. It may be that for some people belief in God is a result of a projection. But that is not the interesting question. What we want to know is: is God’s existence something that is purely imaginary or does God actually exist? Then you have got to deal with the arguments that I’ve given. In any case, I think there is quite a different way of looking at the relationship between God and ourselves in terms of being persons and God being personal. Why couldn’t it be the case that rather than God’s being a sort of superhuman person that we have projected to say that God is a personal being who has created finite persons in his image, and that therefore we are reflections of God’s nature? Just as God is personal, so we are personal to a finite degree. So the projection may be just the opposite. It may not be that we are projecting God. It may be, rather, that we are creations of God which reflect his nature and image. I think that is just as plausible and, indeed, given the arguments for God’s existence, I think there is a personal creator and designer of the universe who is the locus of moral value and has brought us into existence. Kevin Harris: It seems this would be – these God as projection arguments – would be psychological. They would only examine the psychology of a person who believes in God. You don’t determine whether God exists via psychology. Dr. Craig: No. Because, after all, you might psychologically project something that turns out to be really there. That just doesn’t answer the objective question. All that says is maybe Susie or Bill’s belief in God is the result of wish-fulfillment or projection or guilt-complex or whatever neurosis you want to mention. Maybe that is true. Maybe some people do have that psychological factor as the explanation of, as you say, their autobiographical facts of their psychology. But that doesn’t answer the question of the objective existence of this being in any way at all. Kevin Harris: Bill, you’ve said something related to this so-called new definition of atheism. So many of our atheist friends will insist that the definition of atheism is “a lack of belief in God.” You’ve pointed out a couple of things that are related to this, and that is if a person lacks belief in God that only tells you the mental or psychological or personal state of that person. It tells you nothing as to whether God exists. Kevin Harris: And it is not a definition of atheism. It might be a definition that – what? - that a person is applying to themselves? Dr. Craig: Right. It is an autobiographical comment about one’s personal psychology – that I lack a belief in God. It is not a view. It is not something that is either true or false. It is just the absence of this particular belief. As I’ve said before, in that sense our cat Muff was an atheist because she lacked belief in God and therefore was in this psychological state. But that says absolutely nothing about the truth or falsity of the proposition that God exists. Kevin Harris: Boy, I tell you, I cannot get a lot of people to see that, though. They are really hanging on to this definition. Dr. Craig: You know why, I think? I think they hang on to this because it excuses them from engaging in the intellectual hard work of trying to justify their position. They don’t have to offer, then, any justification for what they believe. They just say, “I lack this belief.” It is really intellectual laziness. If I lacked the belief that, say, there is gold on Mars, that wouldn’t prove that there is no gold on Mars. Even if there were no evidence that there is gold on Mars, that is not proof that there isn’t gold on Mars. There could well be some gold there and we just haven’t found it yet. So the mere absence of having some belief doesn’t go to prove that the entity in question doesn’t exist. You can’t excuse yourself in that intellectually lazy way from justifying your viewpoint. Kevin Harris: A lot of good questions come into the website, ReasonableFaith.org. I mentioned some of the criteria that you kind of use at the beginning. Would you like to elaborate on that? What kind of questions are you looking for?